The Center for IP-based Services Innovation (CIPSI) at UiS has mission to promote cross-fertilization between several research fields to facilitate design and delivery of large-scale, data-intensive, and complex IP-based services required by many application areas. The vision of the center is to become a university-industry collaboration platform to achieve excellence in research and innovation. The CIPSI has leading expertise in scalable and cloud computing, big data analysis, computational modeling and simulation, security and reliability, wireless communications. The CIPSI is also a member of the Center for Wireless Innovation Norway, CWI Norway. the 4th IEEE International Conference on Cloud Computing Technology and Science (CloudCom 2012), Taipei, December 3 - 5, 2012. 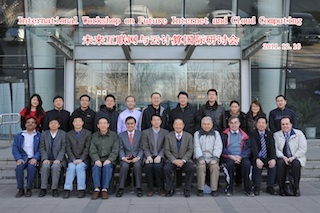 Invited talk was given at the International Workshop on Future Internet and Cloud Computing in Tsinghua University, Beijing, December 16-17, 2011. Keynote was given at the 6th NATO Joint Computer Assisted Exercise Forum (CAX '11) in Rome, Italy, September 12-15, 2011. Keynote was given at Keynote i COMADEM2011, the 24th International Congress on Condition Monitoring and Diagnostics Engineering Management in Stavanger, Norway, September, 2011. 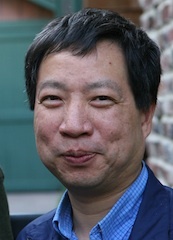 Utviklingen av de nye "hjemmetjenestene" ledes av professor Chunming Rong ved Universitetet i Stavanger, i et prosjekt som også støttes av Forskningsrådet. Prof. Rong leder det nystartete samarbeidsprosjektet Safer@Home som støttes av Forskningsrådets program VERDIKT. Avanserte datasystemer kan skape bedre inneklima samtidig som energiforbruket i bygningen går ned. Technology developed by Lyse and the University of Stavanger would provide us secure and simple home service in the near future.